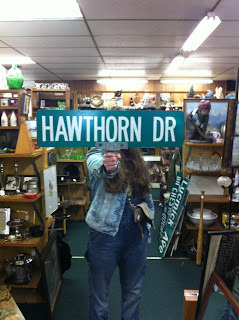 The closest I have come to a Hawthorn is this sign! 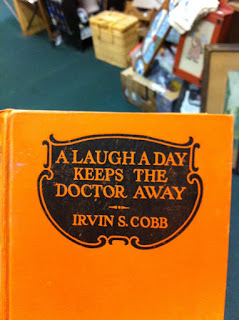 And with it a great book - Laugh each day and a few albums. I didn't buy the America one and rather regret it because the fonts are amazing but what's there to say but a bad photo to remember it by. One day I will reveal what comes to my mind when feet are in view. One day.